When you ride your motorcycle, you need to be protected. That’s almost too obvious, especially when you start driving at higher speeds. While riding, you will have less natural protection than others on the road, so extra steps to protect your safety are absolutely necessary. But just how do you go about accomplishing that? A helmet and proper outerwear are a natural first step. But we’re not here to talk to you about elementary lessons connected to motorcycle safety. Today, we want to discuss the opportunity you have through prescription motorcycle glasses with inserts. When your eyes worsen, you need to adjust. That’s especially true on a motorcycle, where clear vision is absolute key for your safety and enjoyment. With so-called Rx inserts, you can accomplish that and more. In fact, here are 5 benefits of prescription riding glasses that come with inserts to improve your vision. The first benefit is also the most natural: by wearing insights for your regular motorcycle riding glasses, you improve your vision. That might be a simple statement, but think about its power as you ride on the road to commute or for fun. On a motorcycle, and as you well know, reaction time matters. Spot a deer or car even a fraction of a second too late, and disaster could strike. As your eyes get worse, that fraction of a second becomes more likely – and can have a significant impact on your safety. You need to make sure that you can see clearly at all times, including in your periphery vision. Rx inserts can help you accomplish that goal. Especially if you don’t typically wear prescription glasses while riding your bike, they can make a major difference. Because they fit into your lens rather than requiring their own pair of eyeglasses, you can improve and clarify your vision with only minor adjustments to your everyday routine and outfit. As an avid rider, you probably don’t just bring your motorcycle out during the same riding conditions every day. An evening joyride will come with very different lighting than your morning commute. Add in the different seasons, and even getting out on the road during the same time everyday can shift significantly depending on the time of year. For most motorcyclists, that means changing glasses to account for the change. Sunglasses make sense during dusk and dawn as well as sunny days, but definitely not once it gets dark out. But what if you have a prescription? In that case, you might think that you need multiple pairs of safety glasses with prescription – which can quickly become expensive. In fact, that’s far from the case. with inserts, you can use different types of regular motorcycle glasses and simply insert your prescription into them when needed. Simply put, you can own more glasses and adjust for lighting conditions without spending the house on accomplishing that goal. 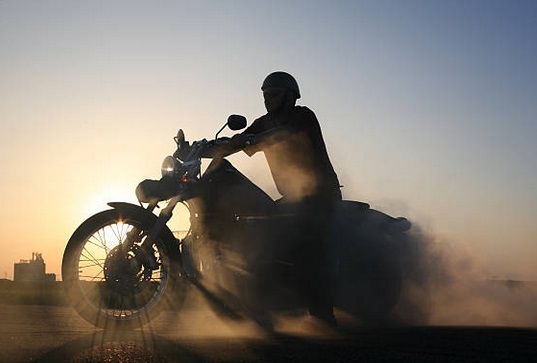 As you ride your motorcycle, you probably don’t take it easy on your eyewear. These are not reading glasses, after all. They’re called safety glasses for a reason. The right eyewear protects your eyes from debris, pebbles, and other times that fly off the road from your wheels and the vehicles in front of you. But that also means they take the brunt of the damage. It’s not uncommon to get your safety glasses scratched up or otherwise damaged. If you don’t get it fixed, your vision can decrease, endangering you every time you get out on the road. If you have a prescription, replacement can be costly. That is, of course, unless you go with Rx inserts instead. Now, you can simply replace the lenses as they get damaged, but retain the part responsible for your prescription. The result is quicker, easier, and more cost-effective replacement of any scratched or otherwise damaged lenses without compromising your eyesight on the road. Everyone who wears glasses knows: the only constant about your prescription is changed. Chances are that you don’t just get one prescription that never changes over the course of your life. Most of our eyes get worse overtime, which means that the prescription also changes. But as you wear multiple glasses, that can become a problem. Unless you replace every single piece of eyewear you own at the same time, you will have different glasses with different prescription. You can see better through some, and worse through others. The result is headaches at best, and blurry vision at the worst possible moments at worst. Through inserts, you can ensure at least some degree of accuracy. Because replacement due to updated prescription is so much easier, you will be more likely to do it. Think of it as the inverse of the lens replacement point above: changing to a new prescription is easy, which ensures clear vision across all of your glasses. 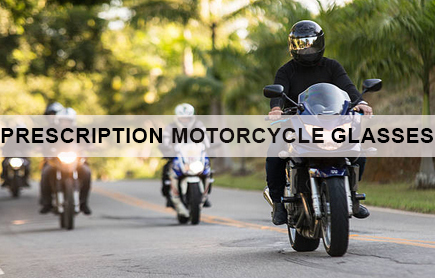 Many motorcyclists who need a prescription wear contacts to avoid many of the above problems. Simply put, it’s easier to worry about your eyesight through contacts rather than having to buy different types of lenses for different situations. But even in that scenario, it makes sense to have a backup in place. Contacts can easily irritate your eyes, in which case you might have to take them out. Now, you need a backup designed to help you still see clearly, even as you ride without your contacts. That’s where inserts come in. Of course, all of the above is only true if you can actually find quality inserts designed to improve your eyesight and fit in your regular motorcycle riding glasses. You have to be sure that the quality is high, the prescription is accurate, but style is not sacrificed. We want to help you find that right pair. Browse our website to see your options, and find inserts specifically designed to maximize your vision the next time you take your bike out for a spin.